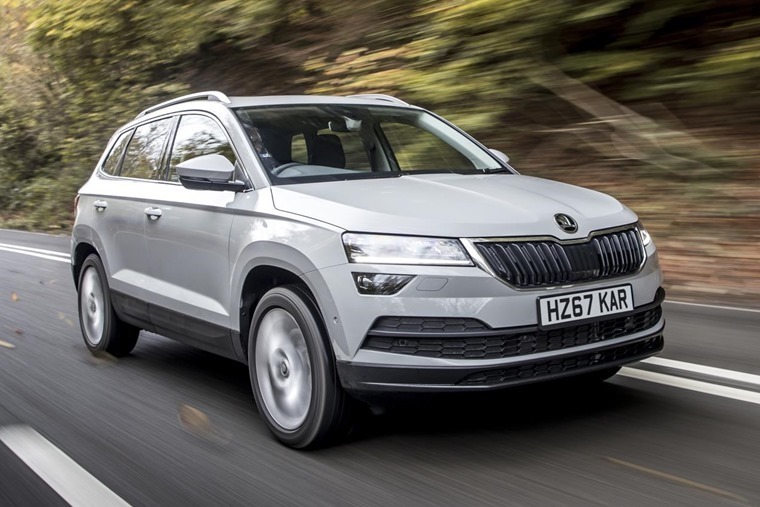 Skoda has the valuable fleet market in its sights with the launch of a SE Technology trim exclusively designed for business customers. A higher specification above the SE trim, Skoda will offer a host of technology and driver assistance systems to small businesses and corporate fleets at no extra cost. Fleets have the choice between four engine options, including two petrol engines with outputs ranging from 115PS to 150PS, and two diesel engines ranging from 115PS to 150PS. All four are available with seven-speed DSG transmission as an option, and the 2.0 TDI diesel engine is available with four-wheel drive. The most powerful petrol model – the 1.5 TSI 150PS DSG, has a P11D of £23,310 and BIK of 24%. The latest addition to the Skoda Karoq line-up aims to set the standard for driver connectivity, with features including Amundsen satellite navigation with European mapping, wireless charging and Phone Box Smartphone signal boost for improved communication on the move as well as Smartlink+ that pairs with Apple CarPlay and Android Auto. 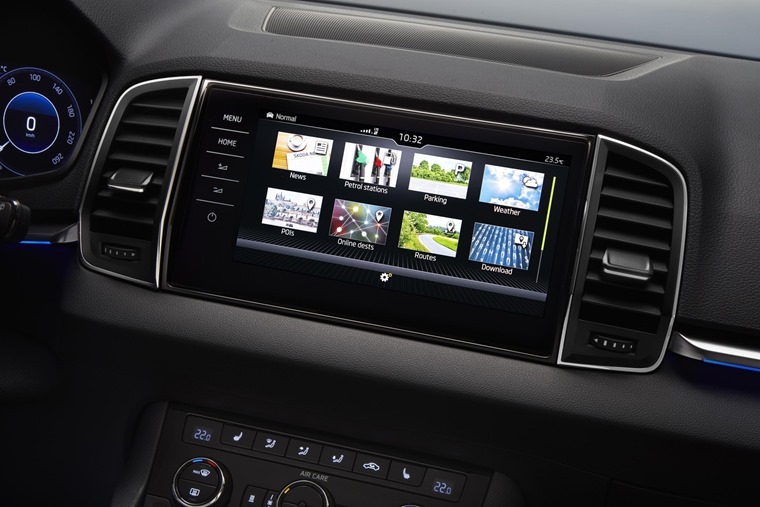 Customers also receive a one-year subscription to Infotainment Online which provides live traffic reports, calendar updates and online search functions. The touchscreen display also includes gesture control to make navigating the menus easier. Front and rear parking sensors, panoramic sunroof and LED daytime running lights come as standard on the SE Tech model, as well as adaptive cruise control. The SUV also includes the useful touches that customers have come to rely on from Skoda such as the ice scraper in the fuel cap, umbrella under the passenger seat, removable LED torch and handy storage compartments in the boot which offers from 521-1810-litres with all rear seats fully taken out.